RECAP is a suite of browser extensions that improves the experience of using PACER, the electronic public access system for the U.S. Federal Courts. When you pay for documents on PACER, RECAP helps you give back by contributing those documents to a public archive hosted by the Internet Archive. RECAP also saves you money when you use PACER by showing you when documents are available at no cost from the Archive. 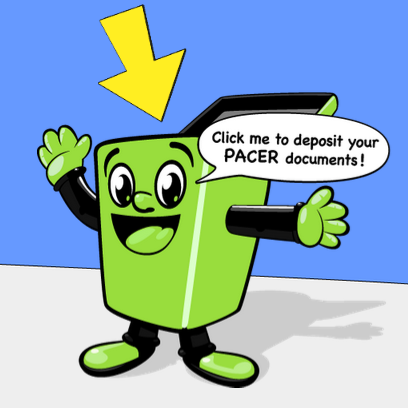 If you use PACER you should install RECAP to save money and contribute to our public archive. Michael Lissner is a developer and Brian Carver is an attorney and both are members of Free Law Project's Board of Directors. Can you tell us a bit of the history behind RECAP? In 2008, Carl Malamud began putting PACER documents on resource.org and encouraging others to help "recycle" those documents. In the Spring of 2009, Aaron Swartz heeded Carl Malamud's call to take advantage of PACER's no-cost trial at 17 libraries across the country and Swartz downloaded nearly 20 million pages before the courts cut him off. At the same Timothy B. Lee had written about the deficiencies of the PACER system. Stephen Schultze had also been working for some time at Harvard's Berkman Center for Internet & Society and submitted a working paper about PACER. At Princeton's Center for Information Technology Policy ("CITP"), Harlan Yu, Stephen Schultze, and Timothy B. Lee, under the supervision of Prof. Ed Felten, were thinking and writing about public access to the documents and data government creates. So, there was a perfect confluence of people concerned about this issue at the same time and several of them, at CITP, managed to work together to create RECAP as one way to crowd-source a partial solution to the public access problems that government seemed unwilling to address. From Carl Malamud's pacer.resource.org, retrieved on 16 December 2008. In May of 2014, CITP announced that it was partnering with Free Law Project for the continued maintenance and development of RECAP. As RECAP approached its fifth birthday, all the original developers had moved on from Princeton to exciting careers elsewhere. In the meantime, Free Law Project had sprung up as a non-profit dedicated to providing access to court documents and to building free software legal research tools, such as their AGPLv3-licensed CourtListener platform. Free Law Project was the obvious long-term home for RECAP and now Princeton's CITP and Free Law Project continue to work together to ensure that RECAP is supported until the courts make all these public domain documents available at no cost. How are people using RECAP? Thousands of people use RECAP every day. Unfortunately, the PACER system has stayed almost exactly the same since 2009 and now the courts charge PACER users even more per page than they did in 2009. So the need for RECAP as a means of permanently removing these public domain documents from behind a paywall remains stronger than ever. We hear from users that simply enjoy knowing that they are contributing to a public archive and from users for whom the charges PACER imposes are a real burden. What features do you think really sets RECAP apart from similar software? As far as we know, RECAP is an extremely unique hack to solve an extremely unique problem. Most sites don't charge 10 cents per page for electronic documents. The PACER system is a bizarre throwback to the days of copy machines. And even where a large collection of documents might exist behind a paywall, such as academic journal articles, those documents are generally still under copyright and unlike the public domain court records that RECAP seeks to collect. So, building RECAP-like software in other contexts might be frustrated by copyright law. But one thing that is particularly ingenious about RECAP is that it so clearly illustrates the individual benefit that can be derived from the creation of a commons. RECAP users save themselves money. While most users tell us they are excited to give back to the project and that they like that the documents PACER forces them to buy are uploaded to our archive, we don't have to rely on altruistic motives to gain users. Even users that might download RECAP motivated only by their own self-interest in saving money end up contributing documents to our archive, making the overall usefulness of RECAP increase every single day, one document at a time. Why did you choose the GNU GPLv3+ as RECAP's license? We asked the original developers why they chose GPLv3 and no one could recall for sure. We suspect it was for the usual reasons: GPLv3 is well known and understood among developers and its use signals that one's project is committed to free software. How can users (technical or otherwise) help contribute to RECAP? There are several ways that both technical and non-technical users can contribute to RECAP. First, you don't have to be an attorney with a regular PACER habit to install RECAP and start contributing documents. PACER does not charge users for the first $15 worth of downloads they make each quarter. So, Free Law Project has created instructions for anyone to donate their $15 worth of no-charge PACER usage and, if you like, will even send you a reminder email as the end of the quarter approaches. Free Law Project would like for the PACER Problem to go away and so have also written about the ways people can write to Congress and the courts to urge them to end the current PACER fee structure. Free Law Project has also just begun a major development effort to overhaul the RECAP extensions and the RECAP Server in an effort that will integrate all the RECAP documents into CourtListener's existing 2.9 million court documents, making the RECAP archive full-text searchable for the first time. Developers with experience working on browser extensions, APIs, Python, Django, or solr that would like to learn how they might contribute should express interest at info@recapthelaw.org or start working on issues posted in our repository. What's the next big thing for RECAP? The major development effort now under way is focused on several improvements. First, we aim to make user uploads faster and more predictable so that users can see the impact of their contribution reflected as quickly as possible. Second, we want to make all these documents full-text searchable by combining them with CourtListener documents to create the largest no-cost searchable collection of court documents on the Internet. Third, we want to create a robust API to enable more sophisticated parties to programmatically interact with the RECAP collection so that they can create additional useful third-party services. Everything Free Law Project develops is free software. We've built our CourtListener platform by piecing together existing free software tools and RECAP also makes use of several major free software projects. We don't want there to be any barriers to someone else being able to contribute to our efforts and so actively avoid any dependency that is not free software. Ultimately the work of the Free Software Foundation has inspired and made possible what we are trying to do, and so we and all those that might benefit from our efforts ultimately owe an enormous debt of gratitude to the Free Software Foundation. Thank you. Enjoy this interview? Check out our previous entry in this series, featuring Joël Krähemann, maintainer of Advanced GTK+ Sequencer.